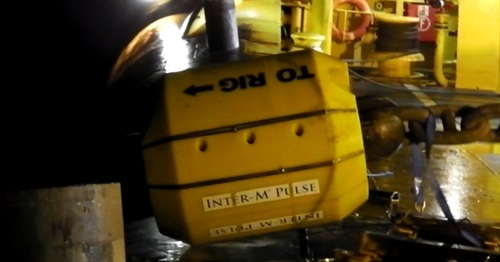 The Inter-M Pulse is a mooring line connector that directly measures actual line tension with secondary readings of angle and rotation. The device was jointly developed by Pulse and sister Acteon Group company, InterMoor. The H-link is forged and/or fabricated from Grade R4 material and is designed to be fully compatible with the chain links that are in the mooring system. The strain gauging and data loggesr are from Pulse proven INTEGRI range. 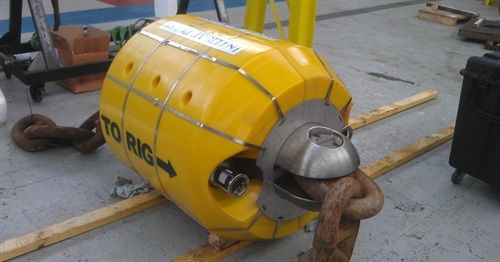 The data from the Inter-M Pulse is sent to the vessel topsides using acoustic signals allowing vessel operators to monitor the performance of the mooring system.